Today’s topic is critical to all the bloggers & Youtubers who are using Google AdSense as an earning source. I’m sure that you are all aware of AdSense invalid click activity or fraud clicks. This question is weird for all the beginners because they have not much knowledge about AdSense. So, I have prepared a great piece of article for them so that they can’t encounter more difficulties. When a person or group of people click on your AdSense ads from the same Ip Address, then this is called fraud clicks or invalid clicks. To protect advertisers from these fraud clicks, Google Adsense block their publisher’s ad account. Invalid click can ruin your AdSense account. So it is essential to protect your Account from this harmful activity. But don’t worry here I will be Introducing you some tactics that can help you to protect your account from these activities. Before I dive you deeper, let me first tell you about the reasons behind fraud clicks activities. If you put a massive number of ads on a single page of your blog, then it will become easier for users to click on your ads. This activity may happen because you tell your friends & Relative to click on ads. Your haters who know all about AdSense fraud click activities and also know that this activity can ruin your Adsense account. By using WordPress plugins (If you are on WordPress platform). Adsense ads density per page. Google Adsense Invalid click activity contact Form. If your ad CTR is higher than usual, then it could also be a reason. First three techniques are the precautions, and the last one is the case when your account gets banned. If your blog is on WordPress, then you can use some plugin to protect your Adsense account. These plugins play a vital role to inform you all about your AdSense account. 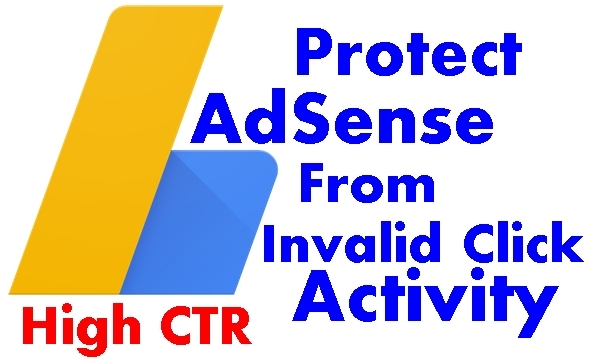 It is one of the best plugins to protect your Adsense account from fraud clicks activities. It is not only applicable for Google Adsense but also for all other PPC (pay per click) advertising networks. It is used to prevent malicious clicks by google bots or by the human being. It also helps you to avoid clicks by your friends who want to help you or ruin your account. It continuously calculates Adsense ad clicks and equates this click value with the number that you have set as a limit. If the number of clicks exceeded (set Number of clicks) then it will hide your ads from your web source. Sometimes you also click your Adsense ads again and again to earn revenue. So to avoid it you can Block your Ip address through this plugin. It works with all Themes. It is effortless to use and can easily installed on WordPress. Click bombing starts when you find that your Adsense ad CTR is abnormal means higher than usual. The click-Bomb-protect plugin Can easily avoid click Bombing. You only have to use a sort of code within your ad code. It has the power to unblock the banned Ip address. It is another way to protect your AdSense account from these activities. When you put a large number of ad units on your single blog post then Indirectly you are increasing the chances of ad clicks. It is a dangerous practice. Your haters or competitors can quickly make your account ruin. More ad insertion can make your website loading time more which is not good for your site health. So, I recommend you not to put more than three ads per blog post. It is one of the best tools to monitor all the activities on your blog or website. It has a great console to keep an eye on all types of clicks activities on your blog. One can easily interpret and detect the exact position of any visitor. So, if you find any suspicious activity on your analytics account, you can remove your ad code from your website. Adsense helps you reactivate your dumb account. You can use this information to protect your account from the fraud clicks. You have to check your AdSense account every day and note down the number of clicks. You can also analyse your CTR. 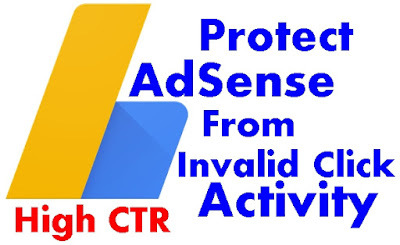 If you find any sudden Increment in your ad clicks or CTR then instantly erase your code from your blog and complain to AdSense team through this Invalid Click Activity appeal form. Note: Google AdSense has already announced that they now disable serving ads for individual pages (the page that violating AdSense policy) rather than suspending a full account. So make sure whenever you get a policy violation for a single page then remove your ad code from that specific page. This is the review request form that you can use to appeal in case you get Ad disabled for an individual page. You have total 100 requests to appeal. Every time you request for a review you lose one request. If you don’t get approval. Ads will no longer be served to that page. And if you get 99 more policy violation notices your account will be permanently suspended. So, don’t publish such pages that de-valuing your authority in AdSense eye. If you do, you’re the one who is responsible for your account suspension. If you don’t know how to remove ad code from the individual page, then you can use the WP plugin ‘Advanced ads’. It has a neat feature of removing the code from individual pages or post. If you want to protect your account from fraud clicks, then you should never apply for Adsense before you have received a massive amount of traffic because at the starting point you will get very less traffic and the ratio of traffic to click (traffic/clicks, suppose = 100/20) is less. If someone wants to harm you, then he can quickly do it by increasing the ratio (traffic/clicks) because a very less amount of click will soon affect the CTR of your Adsense account. Adsense understands the patterns immediately which may result in block Adsense account permanently. But if you apply for Adsense after getting a decent amount of traffic, then quick clicks do not affect your CTR. Because your traffic to click ratio (1000/50) does not bring a huge difference. If you like this post, then share it on social media sites like Facebook, Twitter, LinkedIn etc… If you have any query, then feel free to ask.